The measuring of Parkinson’s is complicated. There is such enormous variability between individual cases that the task of assessing people is very difficult. The primary method that is used in clinics around the world is the Unified Parkinson’s Disease Rating Scale (or UPDRS). It is by no means perfect, and recently (in the wake of several unsuccessful clinical trials) there has been heated debate as to whether it is really up to the task. Does it accurately reflect the condition? Does it really capture the lived experience? Can it pick up subtle changes associated with potentially disease modifying therapies in clinical trials? Or is it simply a “we’ve always done it this way” kind of tool? In today’s post, we will look at what the UPDRS is, discuss some of the criticisms associated with it, and consider what solutions to those issues could look like. 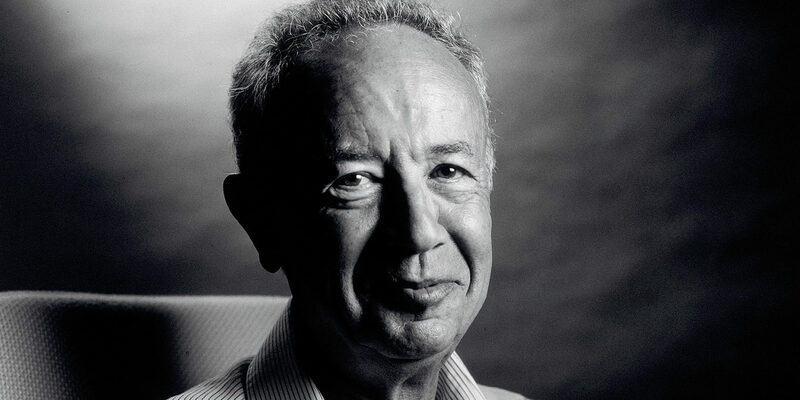 This is Andy Grove and his story is rather remarkable. Born in 1936 to a Jewish family in Budapest, he managed to survive the Nazis, and then fleed Hungary when Soviet tanks started rolling in. Arriving in the US with absolutely nothing, he taught himself English, before going to City College of New York and later the University of California (Berkeley) where he received a PhD in chemical engineering. And that was just the start of his amazing tale. 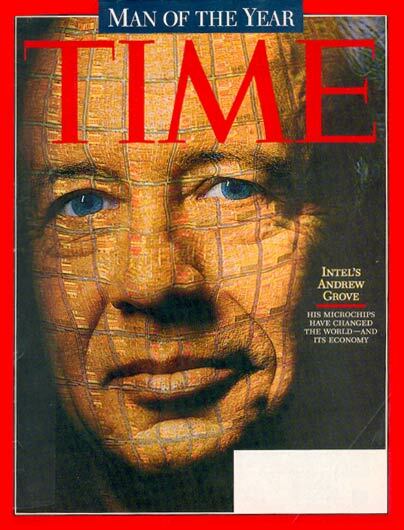 After completing his PhD (and publishing a textbook on semiconductors), Grove joined the seminal Silicon Valley company – Fairchild Semiconductor – in 1963. He worked his way up from researcher to assistant director of development, before becoming the first person that Robert Noyce and Gordon Moore (of Moore’s Law fame) hired after they departed Fairchild to start their own little company in 1968. The name of that company was Intel. Grove also worked his way up the ladder at Intel – from director of engineering to CEO – and he is credited with transforming the company from a struggling memory chip maker into the processor powerhouse it is today. He was Time’s ‘Man of the Year’ in 1997 and he was a widely revered figure in Silicon valley. But the path to success was not easy. 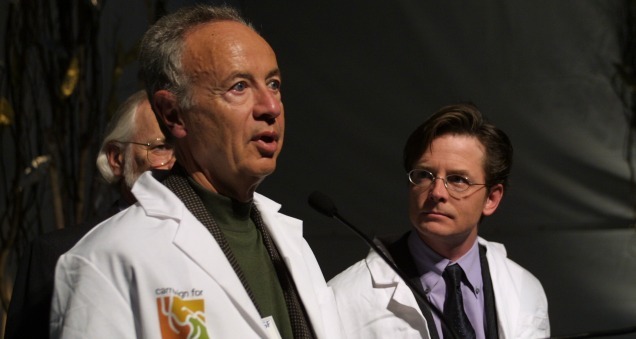 Having survived prostate cancer in 1995, Grove was diagnosed with Parkinson’s in 2000. Viewing the situation as a problem solving exercise, he poured tens of millions of his own money into researching Parkinson’s. But coming from the world of ‘Moore’s Law’, Grove became frustrated by a.) the slow speed of progress in the world of biomedical research and b.) the tools used to assess it. In particular, he disliked the UPDRS, which he referred to as a “piece of crap” (Source – you should read the linked article). Xenon: A bright light for dyskinesias? A recent study published by French, British and Swiss researchers has grabbed the attention of some readers. The report suggests that the inert/noble gas, Xenon, has powerful anti-dyskinetic properties in both mouse and primate models of Parkinson’s with L-DOPA-induced dyskinesias. Dyskinesias are involuntary movements that can develop over time with prolonged used of L-DOPA treatments. In today’s post, we will discuss what Xenon is, how it may be reducing dyskinesias, and we will consider some of the issues associated with using Xenon. 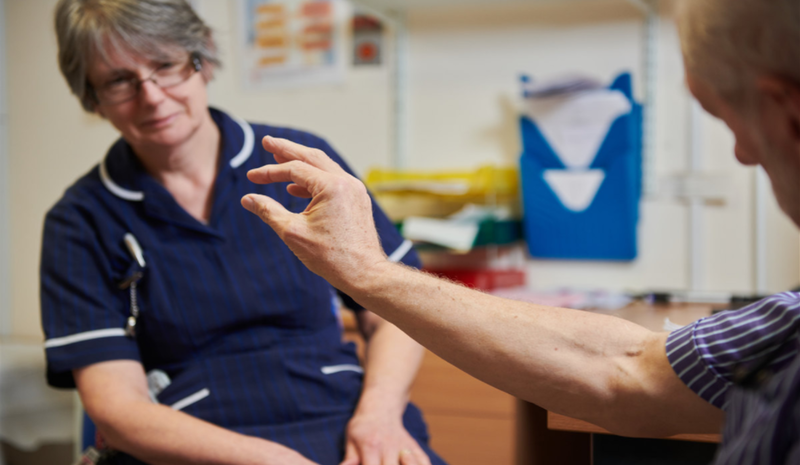 There is a normal course of events following a diagnosis of Parkinson’s. Yes, I am grossly over-generalising, and no, I’m not talking from personal experience, but just go with me on this for the sake of discussion. First comes the shock of the actual diagnosis. For many it is devastating news – an event that changes the course of their future. For others, however, the words ‘you have Parkinson’s‘ can provide a strange sense of relief that their current situation has a name and gives them something to focus on. This initial phase is usually followed by the roller coaster of various emotions (including disbelief, sadness, anger, denial). It depends on each individual. And then comes the period during which many will try to familiarise themselves with their new situation. They will read books, search online for information, join Facebook groups (Click here for a good one), etc. That search for information often leads to awareness of some of the realities of the condition. And one potential reality that causes concern for many people (especially for people with early onset Parkinson’s) is dyskinesias. Dear FDA, this is bigly wrong…and you know it! Dopamine agonist treatments are associated with approximately 90% of hyper-sexuality and compulsive gambling cases that occur in people with Parkinson’s disease. This issue does not affect everyone being treated with this class of drugs, but it is a problem that keeps popping up, with extremely damaging consequences for the affected people who gamble away their life’s saving or ruin their marriages/family life. The U.S. Food and Drug Administration (FDA) is yet to issue proper warning for this well recognised side-effect of dopamine agonists, and yet last week they gave clearance for the clinical testing of a new implantable device that will offer continuous delivery of dopamine agonist medication. In today’s post, we will discuss what dopamine agonists are, the research regarding the impulsive behaviour associated with them, and why the healthcare regulators should acknowledge that there is a problem. By the time a person is sitting in front of a neurologist and being told that they ‘have Parkinson’s disease’, they will have lost half the dopamine producing cells in an area of the brain called the midbrain. Dopamine is a chemical is the brain that plays a role in many basic functions of the brain, such as motor co-ordination, reward, and memory. It works as a signalling molecule (or a neurotransmitter) – a way for brain cells to communicate with each other. Dopamine is released from brain cells that produce this chemical (not all brain cells do this), and it binds to target cells, initiating biological processes within those cells. Dopamine binds to target cells via five different receptors – that is to say, dopamine is released from one cell and can bind to one of five different receptors on the target cell (depending on which receptor is present). The receptor is analogous to a lock and dopamine is the key. When dopamine binds to a particular receptor it will allow something to happen in that cell. And this is how information from a dopamine neuron is passed or transmitted on to another cell. Researchers are using a powerful new tool to determine which parts of the brain are involved in movement. The technology involves shining light on brain cells…and well, a bit of biological magic. Today we will review some newly published research highlighting how this approach and discuss what it means for Parkinson’s disease. Personal story: I was at the Dopamine 2016 conference in September last year in lovely Vienna (Austria). Wonderful city, beautiful weather, and an amazing collection of brilliant researchers focused on all things dopamine-related. The conference really highlighted all the new research being done on this chemical. There was – of course – a lots of research being presented on Parkinson’s disease, given that dopamine plays such an important role in the condition. And it was all really interesting. Anyways, I was sitting in one of the lecture presentation session, listening to all these new results being discussed. And then, a lady from Carnegie Mellon University stood up and (without exaggeration) completely – blew – my – mind! She is an Assistant Professor in the Department of Biological Sciences at Carnegie Mellon University, where her group investigates the neural circuits underlying the regulation of movement, learning, motivation, and reward. In this report, Dr Gittis and her colleagues demonstrated that elevating the activity of one type of cell in an area of the brain called the globus pallidus, could provide long lasting relief from Parkinson’s-like motor features. Hang on a second. What is the globus pallidus? The globus pallidus is a structure deep in the brain and before Dr Gittis and her colleagues published their research, we already knew it played an important role in our ability to move. But while the basal ganglia controls movement, it is not the starting point for the movement process. The prefrontal cortex is where we do most of our ‘thinking’. It is the part of the brain that makes decisions with regards to many of our actions, particularly voluntary movement. It is involved in what we call ‘executive functions’. It is the green area in the image below. Now the prefrontal cortex might come up with an idea: ‘the left hand should start to play the piano’. The prefrontal cortex will communicate this idea with the premotor cortex and together they will send a very excited signal down into the basal ganglia for it to be considered. Now in this scenario it might help to think of the cortex as hyperactive, completely out of control toddlers, and the basal ganglia as the parental figure. All of the toddlers are making demands/proposals and sending mixed messages, and it is for the inhibiting basal ganglia to gain control and decide which is the best. So the basal ganglia receives signals from the cortex, processes that information before sending a signal on to another important participant in the regulation of movement: the thalamus. The thalamus is a structure deep inside the brain that acts like the central control unit of the brain. Everything coming into the brain from the spinal cord, passes through the thalamus. And everything leaving the brain, passes through the thalamus. It is aware of most everything that is going on and it plays an important role in the regulation of movement. If the cortex is the toddler and the basal ganglia is the parent, then the thalamus is the ultimate policeman. Now to complicate things for you, the processing of movement in the basal ganglia involves a direct pathway and an indirect pathway. In the simplest terms, the direct pathway encourages movement, while the indirect pathway does the opposite: inhibits it. The thalamus will receive signals from the two pathways and then decide – based on those signals – whether to send an excitatory or inhibitory message to the primary motor cortex, telling it what to do (‘tell the muscles to play the piano’ or ‘don’t start playing the piano’, respectively). The primary motor cortex is the red stripe in the image below. The primary motor cortex then sends this structured order down the spinal cord (via the corticospinal pathway) and all going well the muscles will do as instructed. Now, in Parkinson’s disease, the motor features (slowness of movement and resting tremor) are associated with a breakdown in the processing of those direct and an indirect pathways. This breakdown results in a stronger signal coming from the indirect pathway – thus inhibiting/slowing movement. This situation results from the loss of dopamine in the brain. Under normal circumstances, dopamine neurons release dopamine in the basal ganglia that helps to mediate the local environment. It acts as a kind of lubricant for movement, the oil in the machine if you like. It helps to reduce the inhibitory bias of the basal ganglia. Thus, with the loss of dopamine neurons in Parkinson’s disease, there is an increased amount of activity coming out of the indirect pathway. And as a result, the thalamus is kept in an overly inhibited state. With the thalamus subdued, the signal to the motor cortex is unable to work properly. And this is the reason why people with Parkinson’s disease have trouble initiating movement. Now, as you can see from the basic schematic above, the globus pallidus is one of the main conduits of information into the thalamus. Given this pivotal position in the regulation of movement, the globus pallidus has been a region of major research focus for a long time. It is also one of the sites targeted in ‘deep brain stimulation’ therapy for Parkinson’s disease (the thalamus being another target). Deep brain stimulation (or DBS) involves placing electrodes deep into the brain to help regulate activity. By regulating the level of activity in the globus pallidus, DBS can control the signal being sent to the thalamus, reducing the level of inhibition, and thus alleviating the motor related features of the Parkinson’s disease. Deep brain stimulation is not perfect, however. The placing of the electrodes can sometimes be off target, resulting in limited beneficial effects. Plus the tuning of the device can be a bit fiddly in some cases. A more precise method of controlling the globus pallidus would be ideal. Ok, so the globus Pallidus region of the brain is important for movement. What did Dr Gittis and her colleagues find in their research? They used an amazing piece of technology called ‘optogenetics‘ to specifically determine which group of cells in the globus pallidus are involved in the inhibitory signals going to the thalamus. And their results are VERY interesting. The long answer: In 1979, Nobel laureate Francis Crick suggested that one of the major challenge facing the study of the brain was the need to control one type of cell in the brain while leaving others unaltered. Electrical stimulation cannot address this challenge because electrodes stimulate everything in the immediate vicinity without distinction. In addition the signals from electrodes lack precision; they cannot turn on/off neurons as dynamically as we require. The same problems (and more) apply to the use of drugs. Crick later speculated that the answer might be light. How on earth would you do that? Well, in 1971 – eight years before Crick considered the problem – two researchers, Walther Stoeckenius and Dieter Oesterhelt, discovered a protein, bacteriorhodopsin, which acts as an ion pump on the surface of a cell membrane. Amazingly, this protein can briefly become activated by green light. Later, other groups found similar proteins. One such protein, called ‘Channelrhodopsin’, was discovered in green algae (click here to read more on this). When stimulated by particular frequencies of light, these channels open up on the cell surface and allow ions to pass through. If enough channels open, this process can stimulate particular activity in the cell. Interesting, but how do you get this into the brain? Looks like the mad scientist type, right? Well, remember his name, because this guy is fast heading for a Nobel prize. He is the D. H. Chen Professor of Bioengineering and of Psychiatry and Behavioral Sciences at Stanford University. And he is one of the leading researchers in a field that he basically started. Authors: Boyden ES, Zhang F, Bamberg E, Nagel G, Deisseroth K.
Journal: Nat Neurosci. 2005 Sep;8(9):1263-8. Epub 2005 Aug 14. In this research report, Deisseroth and his colleagues (particularly Ed Boyden, lead author and now a professor of Biological Engineering at the McGovern Institute for Brain Research at MIT) took the short section of DNA that provides the instructions for making Channelrhodopsin from green algae and they put that piece of DNA into neurons. And when they then shined blue light on the neurons, guess what happened? Yes, the neurons became activated – that is to say, they produced an ‘action potential’, which is one of the way information is passed from one neuron to another. And of course any surrounding cells that do not have the Channelrhodopsin DNA were not affected by the light, but were activated by the signal coming from the Channelrhodopsin+ cells. This original research report lead to a gold rush-like search for other proteins that are light activated, and we now have an ever increasing toolbox of new proteins with curious properties. For example, we can now not only turn on neurons, but we also have proteins that can shut their activity down, blocking any action potentials (with proteins called ‘Halorhodopsin’ – click here for more on this). And many of these proteins are activated by different frequencies of light. It is really remarkable biology. For an excellent first-hand history of the early development of optogenetics (written by Ed Boydon who worked with Diesseroff on the first optogenetics study) – click here. Two years after the first report of optogenetics, the first research demonstrating the use of this technology in the brain of a live animal was published (Click here and here to read more on this). And these fantastic tools are not just being used in the brain, they are being applied to tissues all over the body (for example, optogenetics can be used to make heart cells beat – click here to read more on this). Ok, so Dr Gittis and her colleagues used optogenetics in their research. What did they find? Well, from previous research they knew that there were two types of neurons in the globus pallidus that regulate a lot of the activity in this region. The two types were identifiable by two different proteins: Lim homeobox 6 (Lhx6) and Parvalbumin (PV). The Lhx6 neurons, which do not have any PV protein, are generally concentrated in the medial portion of the globus pallidus (closer to the centre of the brain). These Lhx6 neurons also have strong connections with the striatum and substantia nigra parts of the brain. The PV neurons, on the other hand, are more concentrated in the lateral portions of the globus pallidus (closer to the side of the brain), and they have strong connections with the thalamus (Click here to read this previous research). In their new research report, Dr Gittis and her colleagues have used optogenetics to determine the functions of these two types of cells in the globus pallidus. Initially, they stimulated both Lhx6 and PV neurons at the same time to see if they could restore movement in mice that had been treated with a neurotoxin (6-OHDA) that killed all the dopamine neurons. Unfortunately, they saw no rescue of the motor abilities of the mice. They next shifted their attention to activating the two groups of cells separately to see if one of them was inhibiting the other. And when they stimulated the PV neurons alone, something amazing happened: the mice basically got up and started moving. But the really mind blowing part: even after they turned off the stimulating light – after the pulse of light stopped – the mice were still able to keep moving around. And this effect lasted for several hours! (note that the red line – indicating a decrease in immobility – in the image below remains stable after the stimulation of light pulses – blue lines – has stopped. Even between light pulses the mouse doesn’t return to immobility). The investigators then tested the reverse experiment: inhibiting the Lhx6 neurons. They found that by inhibiting the Lhx6 neurons with pulses of light, they could restore movement in the dopamine-depleted mice (and again for hours beyond stimulation – note the blue line in the image below remains even after the light pulses – green lines – have stopped). This result blew my mind at the conference in Vienna. And even now as I write this, I am still….well, flabbergasted! (there’s a good word). In addition to being a very elegant experiment and use of this new optogenetic technology, this study opens new doors for us in the Parkinson’s disease research field regarding our understanding of how movement works and how we can now potentially treat PD. Is optogentics being tested in the clinic? The incredible answer to this question is: Yes. A company in Ann Arbor (Michigan) called RetroSense Therapeutics announced in March of 2016 that they had treated their first subject in a Phase I/IIa, open-label, dose-escalation clinical study of the safety and tolerability of their lead product, RST-001 in patients with retinitis pigmentosa (Click here for the press release). Retinitis pigmentosa is an inherited eye disease that causes severe vision impairment due to the progressive degeneration of the rod photoreceptor cells in the retina. The condition starts with patients experiencing progressive “tunnel vision” and eventual leads to blindness. RetroSense’s lead product, RST-001 is basically a virus that infects cells with the photosensitivity gene, channelrhodopsin-2, that we discussed above. Several studies have demonstrated the ability of this approach to restore the perception of light and even vision in experimental models of blindness (Click here to read more about this). The therapy involves injecting RST-001 into the retinas of patients who are blind. The infected cells will then fire when stimulated with blue light coming into the eye, and this information will hopefully be passed on to the brain. All going well, RetroSense plans to enroll 15 blind subjects in its trial, and they will follow them for two years. They hope to release some preliminary data, however, later this year. And a lot of people will be watching this trial and waiting for the results. So, yes, optogenetics is being tested in humans. Obviously, however, these are the first tentative steps in this new field. And it may be sometime before the medical regulatory bodies allow researchers to start conducting optogentic trials in the brain, let alone on people with Parkinson’s disease. It is always rather wondrous where new discoveries take us. A little over 10 years ago, some scientists discovered that by inserting a photosensitivity gene into brain cells they could control the firing of those cells with rapid pulses of light. And now other researchers are using that technology not only to better understand the works of our brains and how we move, but also to help make blind people see again. Whether this technology will be able to replace therapies like deep brain stimulation with a more precise method of controlling the firing of the globus pallidus, is yet yo be seen. But this amazing new technique in our research toolbox will most certainly help to enhance our understanding of Parkinson’s disease. Taking us one step closer to ridding ourselves of it entirely.